Add this book to your summer reading list. Seriously. Do it! 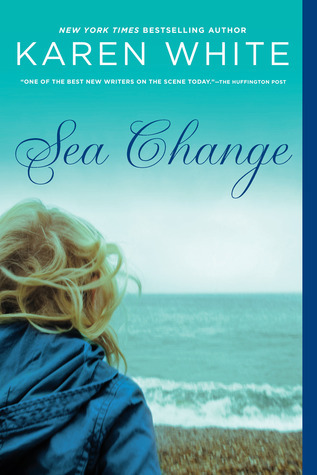 Sea Change by Karen White is a mixture of mystery, romance, and history. Ava Whalen has been afraid of water since she was a baby. Nobody knows or understands why. Ava's mom, Gloria, loves her but has always been standoffish towards Ava. Pamela lived 200 years before in the same St. Simons Island house as Ava and her new husband, Matthew Frazier. 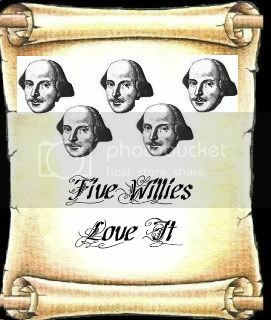 The story is told from all three women's point of view. Ava and Matthew married after a whirlwind romance. They decide to move to the coastal town of St. Simons. They move into Mathew's ancestral home. They are both eager to start their new lives together. On their first night there, Ava learns that Matthew has been married before. She is upset that such a big detail was withheld from her. Eager to know more about his first wife, Ava starts to uncover some disturbing details about the mysterious death of Mathew's first wife, Adrienne. Ava digs deeper to find out if the man she loves could be responsible for Adrienne's death. Ava and Adrienne also share an obsession about a mystery that happened over 200 years ago on the island. Meanwhile Ava's mother, Gloria, is devastated that Ava moved to the island. Gloria and Ava have always had a strained relationship. Since moving to the island, it has become even more so. Secrets are being kept from all sides. Sea Change is a great read. It's reminiscent of Rebecca by Daphne Du Maurier. It has the same mysterious, haunted feel that Rebecca holds. The journeys from the past to the present are fascinating as the story unfolds. The characters are fantastic. White keeps you guessing on who to trust. One of my favorite characters is Mimi. She's Ava's ninety-one year old grandmother. Despite her age, she has no intention of slowing down. She's a feisty, spirited woman that made me laugh. I enjoyed this book thoroughly. The cover is gorgeous. It's a great summer read. I hope you enjoy it! I finished it tonight ... great story!